Heat oven to 350°F. 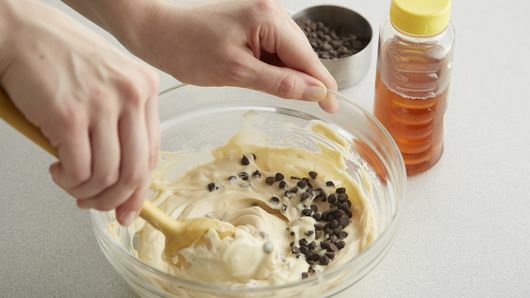 Shape cookie dough into 60 (1/2-inch) balls. Place 30 balls on each of 2 ungreased large cookie sheets. Flatten each ball slightly. Bake 8 to 9 minutes or until cookies are golden brown on edges. Remove from cookie sheets to cooling rack; cool 5 minutes. Meanwhile, in medium bowl, mix cream cheese, brown sugar and honey until well combined. Stir in miniature chocolate chips. 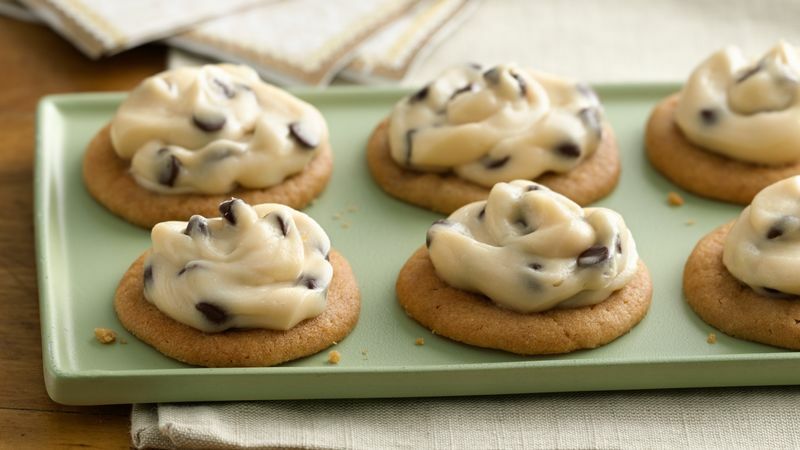 Spoon cream cheese mixture on cookies. Serve immediately, or refrigerate until ready to serve.